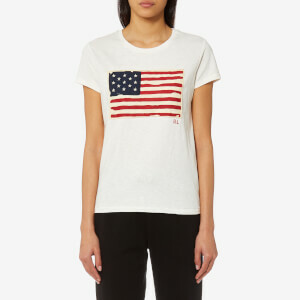 Women's white T-shirt from technical activewear brand, LNDR. 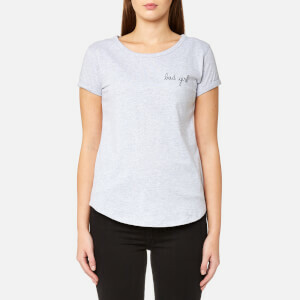 Crafted from soft organic cotton and cut in a relaxed fit, the tee features a ribbed round neckline, short sleeves and tonal printed branding to the front. 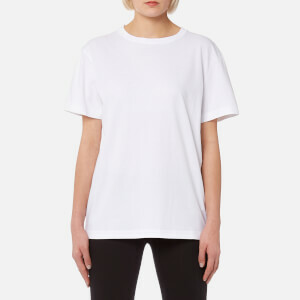 Complete with a straight hem.